Many a Universalist would say that Christ’s death was sufficient for all, that all men are saved because of Christ’s death. As Christians, we do not hold this to be true. As a subscriber to Reformed Theology, I do not hold this to be true either. Regardless, this blog isn’t about that. It’s about how big your God is. The Universalist would say that their God is big enough to save all, regardless of religion. But really, all that does is make God very small. So small that he is not just, he is weak. He does not demand any obedience nor does he mind direct blasphemy. He is not strong enough to have given a divinely inspired Word, nor is he strong enough to save, rather just to pass over sin. But that’s not the problem I have. I’m not a Universalist. For me, it gets hard to believe sometimes that I am savable. I look inside, at my heart, and all I see is wickedness. I am wrought with pride, anger, and just sin in general. In my sinful independence, I do not see how I can be saved. I see how Christ can save, but just not why he would save me. [When you say] “Oh I shouldn’t like to say I am sanctified; I’m not a saint”….before God it means “No Lord, it is impossible for you to save and sanctify me… it isn’t possible.” That may sound wonderfully humble before men, but before God it is an attitude of defiance. ….The way we continually talk about our own inability is an insult to the Creator. The deploring of our own incompetence is a slander against God for having overlooked us…. God doesn’t judge us anymore once saved. I, rather, we, must behold that it is Christ’s righteousness that God sees when he sees us. He is like a man looking upon his child, who upon taking his first steps stumbles. But you never see parents boo their children for falling after their first steps, or ever for that matter. That would be peculiar. They pick their child up and say “DO IT AGAIN” and “that’s my boy” and “it’s ok, I love you”. And we have to see that from our father as well. 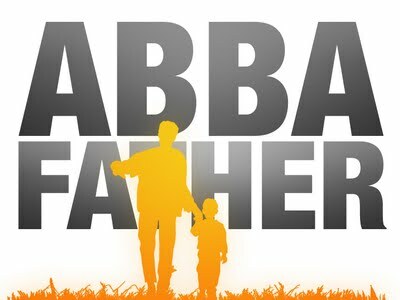 We must cry “Abba, Father, lift me up” in our failure. And he will respond: That’s my boy. He is mine, and I am his. I love you. ← What Is God’s Grace Like?